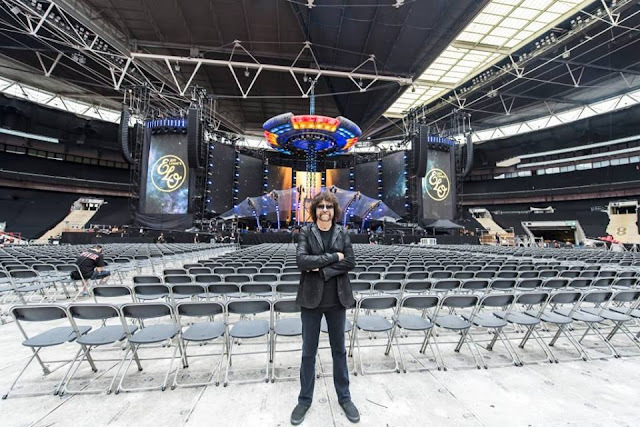 Jeff Lynne's ELO will perform at a gala ceremony held in aid of the BRIT Trust and Nordoff Robbins in The Great Room, Grosvenor House Hotel, London where Sony Music CEO Rob Stringer will receive the prestigious Music Industry Trusts Award. Jeff will be getting to the point during Simon Mayo's Drivetime show on BBC Radio 2 just after 6:00PM. Jeff will attend a sold-out intimate screening of "Wembley Or Bust" at The Clive Davis Theatre within the Grammy Museum in Los Angeles followed by a Q&A session. 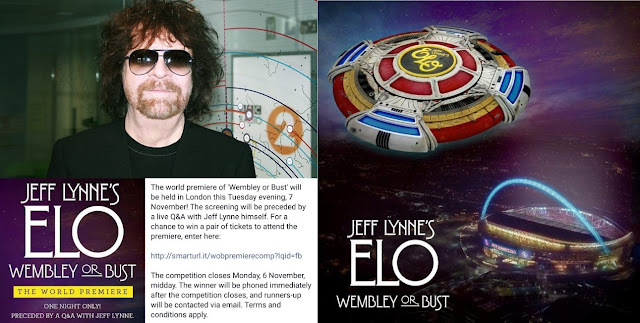 Worldwide release of "Wembley Or Bust" by Jeff Lynne's ELO in multiple formats! I wonder if there is any chance that they will release the 1981 Time Tour concert in it's entirety. Surely they know, that's the live footage that all ELO fans would love to have.